Plant Fiber and Polymer 3D wall Panels: What's the difference? TexturedSurface 3d Panels are simple, economical and very flexible to conform to unusual wall surfaces; with rock-hard and smooth paintable surface, our 3d panel decoration material is suitable for commercial or residential interior and exterior surface application. Perfectly designed to work in multiple capacity to create a continuous, uninterrupted sculptural wall surface with dent proof property which provide our customers and designers the opportunity to maximize their creativity with the most cost effective 3d panels on the market. 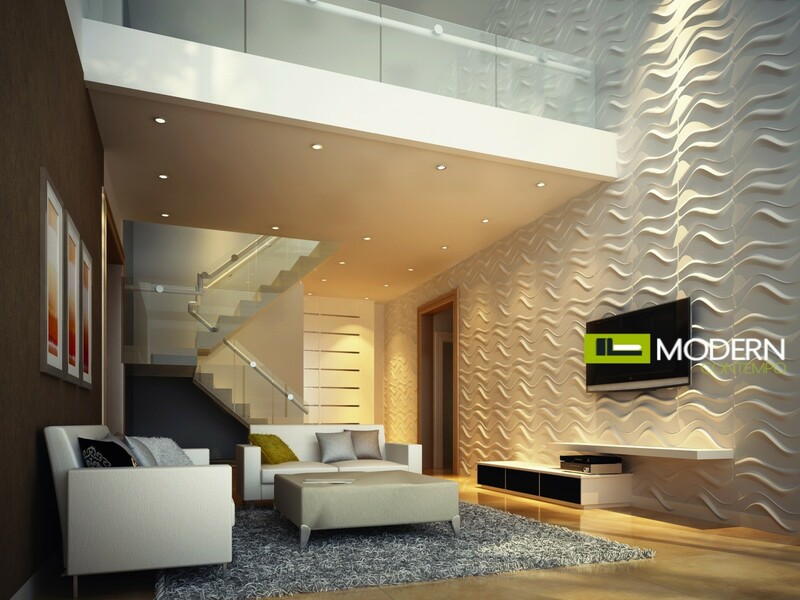 ModernContempo offers these Three-dimensional wall panels that allow for simple and modular installation. They say that the panels are great for home decor, but could also be used in shops and restaurants. I really like the clean lines—they make a statement but aren't too overbearing. TexturedSurface also offers the 3d Wall panels that can be used for outdoors. TexturedSurface offers the 3D Wall Panels in a High Fiber Polymer (Plastic Material) and Plant Fiber material that is engineered into a 3D shaped object with a smooth and elegant finishing surface that can be used on any flat or slightly curve surface interior or exterior wall . 3d wall decor panels offer a dramatic alternative to flat wall panels. Combine 3d wall panels with creative lighting and the results are spectacular. With strong 3d effect, 3d wall decor panels can bring you to live in luxurious surroundings and make your home with elegant style. i3d wall panels offer a dramatic alternative to flat wall panels with our decorative products for interior and exterior architecture, with innovative, futuristic transgressive, current and completely new approaches. Our innovative architectural 3d wall panels offer an extra dimension to any surface or wall with their interesting shapes that creates a beautiful arrangement of light and shadows. Our different collections, represent a totally new approach to interior design and modern architecture, introducing current, dynamic elements, and custom design to any type of project . I3d panels are great solutions to ugly, stubborn problematic wall, door or any surface that needs covering. Our panels are also applicable if our customers simply want to add texture and shape to a room or a surface. 3D panel, often described as 3D wallpaper, once installed, can be left as is or can be painted. Our panels can be easily removed, which makes them a great solution for renters, via temporarily installation with double-sided tape or permanent installation with wallpaper paste. I3dwall can be used in both commercial and residential interiors, and because of their difference they usual transmit a nice futuristic look. 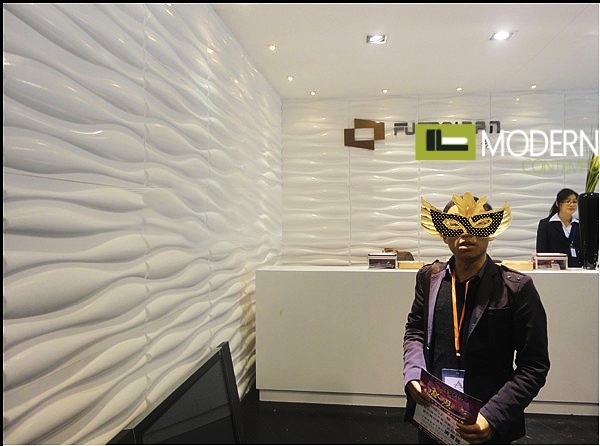 Our products range includes our plant fiber 3d wall, and pre treated polycarbonate 3d panel that comes in Carved Wall & Ceiling Panels, Art Decorative Wall Panels, Textured Relief Wall Panels and Architectural Wall Molding. I3dpanel are designed as modules so customers can use and replace the surface coverings selectively, eliminating unnecessary use and waste over the product’s life cycle. These panels interlock to ensure accurate panel-to-panel alignment and superior joint stability. Our repeating panels accommodate areas of any size and can be easily trimmed on-site. In addition, the tiles are designed to nest, which reduces the energy required to ship them. Description.I3dwall is a 3 dimensional wall surfacing panel that works in multiples to create a continuous, sculptural wall. Innovative 3dpanel (i3dpanel) is a new concept in surface coverings that gives our customers the ability to customize and re-define space on a budget. our 3d panels are the pioneer in the current trend of enhancing both exterior and interior environments in restaurants, clubs and hotels with a wide articulation of 3d wall is testimony to the sea of change that is impacting interior design. Our collection of three-dimensional panels, made of polymer, are suitable for outdoor and indoor use, while our Plant fiber 3D panels are more effective for interior applications. A wide variety of designs and prices, allows our products to be used in the most exclusive decoration projects. A collection of decorative 3D panels inspired by natural, organic shapes and textures can also be applied in residential and commercial environment. I3D wall panels creates a huge impact, lending an architectural feel to the room at relatively little cost. I3D wall panels put excitement back into wall decoration by bringing up any space instantly. We offer 20 different designs to choose from to transform a surface to make a long lasting impression. Chic Glam Anjola Velvet ottoman with gold legs. Vintage Glam Maya Velvet dining chair with gold legs.